Amy Clipston has another contest. Check it out here! The Christmas Note is the latest of Donna VanLiere's heartwarming (and sometimes heartbreaking) Christmas stories, and it was another great one! Her previous books include The Christmas Shoes, The Christmas Blessing, and The Christmas Hope. Gretchen Daniels and her two young children move to Grandon to be near her mother after her husband, Kyle, is the victim of a tragic miltary incident in Afghanistan. Living in the condo next door is Melissa McCreary, who seems to have no desire to make any connection with her new neighbors. When Gretchen is asked to pass on a message to Melissa concerning her mother's death, she really has no desire to get involved. Somewhat reluctantly, though, Gretchen finds herself driven by Kyle's "voice" to reach out to Melissa. The discovery of a note that Melissa's mother started, but never finished, sets off a search for a brother and sister Melissa never knew she had. Neither Melissa nor Gretchen has any idea of the twists and turns they will face as their lives become more intertwined. Ms. VanLiere skillfully drew me into the thoughts and actions of her characters. I came to care about each one and anxiously awaited the resolution of their troubles and challenges. Some of the elements of the plot were predictable, but others caught me by surprise. I would recommend that you spend the couple of hours or so that it takes to read this story of Christmas miracles, forgiveness, and restoration. Cindy Woodsmall has written another warm Christmas story in The Christmas Singing. Mattie is doing well with her business in Ohio -- Mattie Cakes -- and is looking forward to a good life with Sol. When tragedy strikes, though, she finds herself back in Pennsylvania and having to spend time with Gideon, her childhood sweetheart who broke her heart three years earlier by ending their engagement. Little does Mattie know that Gideon has never let go of his love for her but has lived with a series of lies as he tried to protect her. What will happen if the truth ever comes out? In typical Cindy Woodsmall fashion, this is a sweet story of Amish romance and restoration of broken hearts. If you've read The Sound of Sleigh Bells, you'll find yourself revisiting some old friends and making new ones. I recommend this novella for a relaxing, Sunday-afternoon read. And the recipes from Sherry Gore at the end of the book are a nice bonus! Amy Clipston is running another contest -- this time for an authentic Amish baby dress, meadow tea mix, and a book about Amish schools. Check it out here. Before Bailey Flanigan had to choose between Cody and Brandon . . . before Dayne Matthews was willing to risk his Hollywood stardom for a life of faith . . . before the Baxters became neighbors, friends, and household names to thousands (or millions???) of faithful readers . . . Karen Kingsbury was already writing great God-honoring, life-changing fiction. 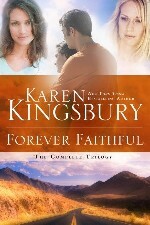 Forever Faithful is a collection of three of those stories. In Waiting for Morning, Hannah Ryan receives some of the most devastating news a mother and wife could receive. While stuck in a dark spot, she is driven by sorrow and rage and shuts God out of her life. Forgiveness – toward the man responsible for the loss of her family and toward God – is the farthest thing from her mind. Is there hope and help for turning from her bitterness back to the God she desperately needs? A Moment of Weakness is the story of Jade and Tanner, best friends as children before a move separates them. A few years later they find each other and give in to a moment of weakness, a choice that separates them again, perhaps forever. Nearly a decade passes before Jade becomes the victim of an unfaithful husband who tries to destroy her and win custody of her son. Is Tanner the one who can help her keep her son and bring truth to light? Halfway to Forever brings together the main characters from the previous two stories and finds them all facing tremendous struggles. Lives of family members and their trust in God are at stake. Will their faith triumph and see them through the trials? These individual titles have been packaged together into one volume. This is a great way for someone to be introduced to the writing of Karen Kingsbury in a multi-story series. And those who are already fans will enjoy this book from a favorite author. 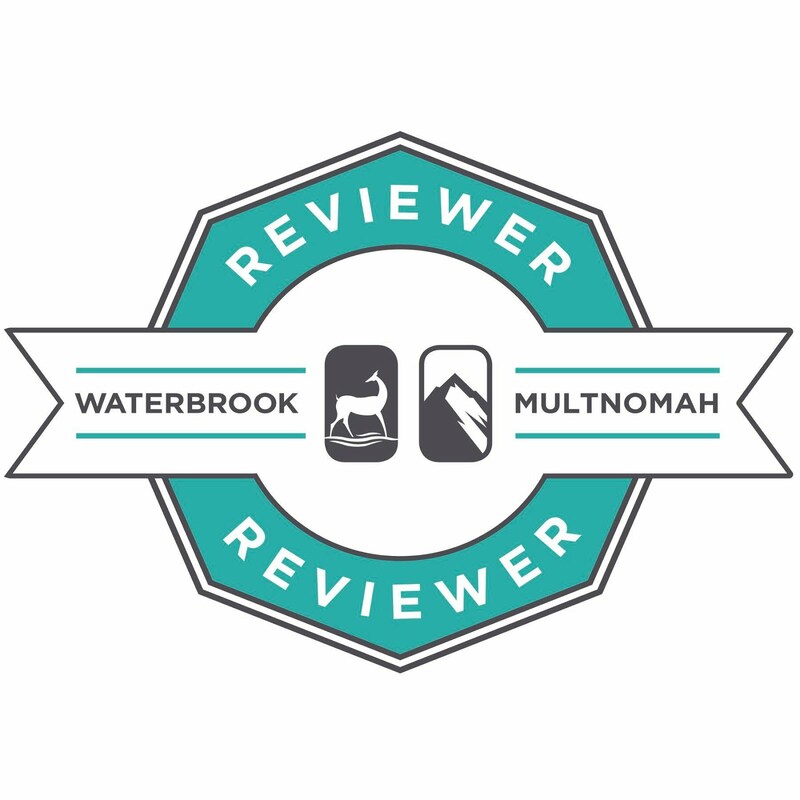 I received this book free from WaterBrook Multnomah Publishing Group for an honest review. Falling to Pieces in the Shipshewana Amish Mystery series is the first book I’ve read by Vannetta Chapman – and I look forward to more. Deborah Yoder and a couple of her friends have enjoyed making quilts together for some time. Now there are special reasons for each of them to need to earn money from the sale of those quilts, and they are at a loss of what to do since Daisy’s Quilt Shop has been closed since the death of its owner. Callie Harper has traveled from Houston to Shipshewana to take care of her Aunt Daisy’s affairs, get her quilt shop sold, and move on. She’s not sure, though, if going back to Houston is the best move for her, as she doesn’t believe she has anything or anyone to go back to. 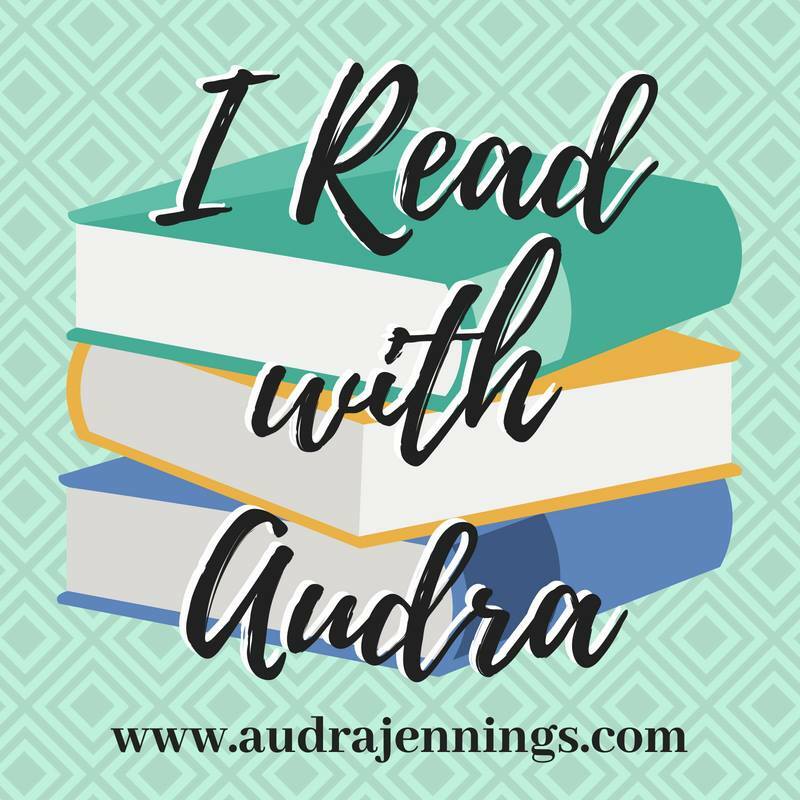 When Deborah and her friends encourage Callie to continue her aunt’s business and help them sell their quilts online, she finds herself reluctantly agreeing to their ideas and staying in Shipshewana – if only temporarily. When the editor of the local newspaper is found dead under questionable circumstances, Callie appears to be an obvious suspect because of some very public threats she made against him. Deborah and Callie work together to clear Callie’s name and get to the bottom of other mysterious happenings. This story is definitely a little off the beaten path of Amish fiction. While I’m not sure how realistic some of the actions of the Amish characters were, it was a fun read that I would recommend to fans of both Amish and "who-dun-it" books. This book was provided free from Zondervan for my honest review. 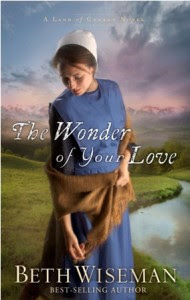 Beth Wiseman has shared another great story in The Wonder of Your Love, book 2 of her Land of Canaan series. Katie Ann Stoltzfus is faced with raising her new baby boy as a single mother in the small Amish community of Canaan, Colorado. Her husband Ivan left her and moved back to Pennsylvania to live with an English woman and was then killed in a car accident, dying before Katie Ann even had the chance to tell him she was finally expecting their first child. Eli Detweiler, widowed 17 years ago, has raised his six children alone in Middlefield, Ohio. Since his youngest daughter has now married and all his children are out on their own, he is looking forward to having less responsibility and traveling to places he has never visited before. When Eli comes to Canaan for a relative's wedding, family and friends try to play matchmakers with him and Katie Ann. The two of them become good friends but are certain that nothing more will come of their relationship, as Eli has finished his job of raising children and Katie Ann has only just begun hers. Eli has always felt that marrying again would somehow betray the love he had for his wife, and Katie Ann is not sure she will ever be able to trust another man. But neither Eli nor Katie Ann is prepared for fully experiencing the wonder of God's love in their own lives, as well as the lives of those around them. Beth Wiseman wrote this story with such depth and detail that the characters come alive and seem like friends you would want to sit and visit with. I'm certainly hoping there is a book 3 yet to come to provide the chance to revisit these special friends in Canaan, Colorado. Amy Clipston has a new contest. Lots of neat prizes, including her new Christmas book, Naomi's Gift. Check it out here.